If you were to ask the average pregnant women what emotions she feels when thinking about giving birth, a large percentage are likely to use words such as scared, worried, anxious or even frightened. For many pregnant women, their only knowledge or experience around giving birth has been horror stories told by many friends and family and often skewed media portrayal ranging from so called “reality TV” to newspaper coverage of the negative issues surrounding maternity services. It is no wonder that this view of birth has led to increasing feelings of anxiety and fear. So what exactly happens in a woman’s body if she is feeling frightened or anxious, and what effect will this have on her, her baby and her body’s natural process of birthing? 1. Fear or anxiety will trigger the production of a hormone called adrenalin, which prepares the body for “fight or flight”. 2. This leads to blood rushing away from the centre of the woman’s body and being redistributed to her brain and limbs. This takes blood away from the uterus – the set of muscles that really need fresh oxygenated blood – and away from her baby. When the muscles of the uterus are not getting fresh oxygen, they are not as easily able to get rid of the lactic acid which is produced when muscles are working hard; lactic acid needs to be excreted, or else pain increases. The muscles therefore lose some of their elasticity (essential when flexing and releasing), becoming harder and tighter. On top of that, the baby is not getting an abundant supply of fresh oxygen through the mother’s blood, and so, over a long period of time, can begin to get distressed. 3. The muscles in her body will tense up, ready to fight or run away. In a birthing woman, the most significant muscles to tense up are the circular muscles of the cervix – keeping those tight to make sure the baby CANNOT be born when a mother does not feel safe. However, the long muscles continue to stretch and flex to try and open the circular muscles. So, essentially, the cervix and the uterus are fighting against each other. Imagine how much harder it will be for the muscles of the uterus to open the cervix if it is all tense and refusing to budge! As all the muscles around the uterus and cervix are also tense, the poor old uterus is having to fight against the strain, rather than being free to contract and release. You already know how much more painful things are if you tense your muscles, for example if you are having an injection. So, is it any wonder that, with all the tension in her body, the contractions are far more painful and less productive? 4. The adrenalin neutralises the wonderful birthing hormones, including oxytocin (the one that makes the uterus contract and release), endorphins (natural painkillers), and relaxin (helps with elasticity of the muscles). The hormones, oxytocin and endorphins influence the degree to which we interpret feelings as pain or pleasure. If you reduce these hormones, then the perception of pain will go way up. 5. All this “fight or flight” preparation uses a great deal of energy. As our bodies were only designed to be in this heightened sense of being prepared to fight or flight for a few minutes at a time, you can imagine that staying in this state for prolonged periods of time will be extremely draining and possibly even harmful to the woman’s baby. In addition, the longer she is in a state of tension, the less efficient her body becomes at flowing with the rhythm of birth. All of the above are incredibly useful if there is a true reason to fight or run away; however, when there is no actual object of fear that can be dealt with, such as a wild animal, this state can go on indefinitely. This adrenalin-pumped situation was designed to last a few minutes. However, if it is prolonged, a woman will become exhausted, her baby can become distressed and her cervix may stop opening, or even close up. Imagine now that a woman is labouring beautifully at home, managing the sensations, feeling at ease being in her own surroundings, watching TV or listening to music. Then things are hotting up and it is time to go to the hospital. First of all, making sure she has everything with her, she has turned off the lights, called whom she needs to, locked the front door, gone out into the cold and got into the car. Just these alone use up valuable energy and can create a level of anxiety. She then has to sit, with a seatbelt on ... Ugh ... the worst position to be in when having a contraction. Her next thoughts may revolve around the traffic, breaking down, not getting there on time – stress ... anxiety ... aahhh – she finally gets there. She then enters the hospital and is suddenly surrounded by strangers, and is being asked lots of questions; there are new and strange smells, noises, and machines; and from now on she is being observed. At a primal level, she is so far removed from the natural instinctive birthing environment that her levels of adrenalin have shot up and her body is attempting to try to stop or slow down labour until she feels safe and calm. As time goes by, her levels of adrenalin and anxiety reach excessive levels. By now her body is so tense that even though her uterus is still contracting, her cervix stops opening. People around her start using terms like “oh, not dilating fast enough”, “failure to progress” and “baby in distress”, which leads to more anxiety, more adrenalin and usually a roller coaster of intervention to “speed things up”. Once she is given any artificial hormones or chemical drugs, her body stops producing the right amount and balance of natural hormones, including the wonderfully powerful endorphins or natural painkillers, and so her body is struggling even more to flow through birth. All of these factors have the ability to slow down or even stop labour, and a woman going through this truly does experience excruciating pain, which in turn reinforces the fear of the next contraction, and so the cycle goes on. As you can see, a woman can become so entrenched in this horrible cycle that her body continues to hold back from birthing her baby, which may partly explain the current drastically high rates of chemical augmentation of labour and increase of Caesarean sections due to “failure to progress” – the most common reason for Caesarean sections today. It may also help to explain the rising rate of inductions, as the fear of birth may even prevent some women going into spontaneous labour. With all this in mind, it is so important to help pregnant women to identify what it is that worries them and then give them tools and techniques to overcome those fear, to be informed about their options and to learn ways to counteract any adrenaline during labour through relaxation, letting go of fear and keeping their birth environment as “mamalistic” as possible. One very powerful and beneficial tool in helping fight the fear is the use of hypnosis as it enables you to identify and metaphorically let go of worries and concerns as well as learn the tools to stay calm, relaxed and in control of your responses. 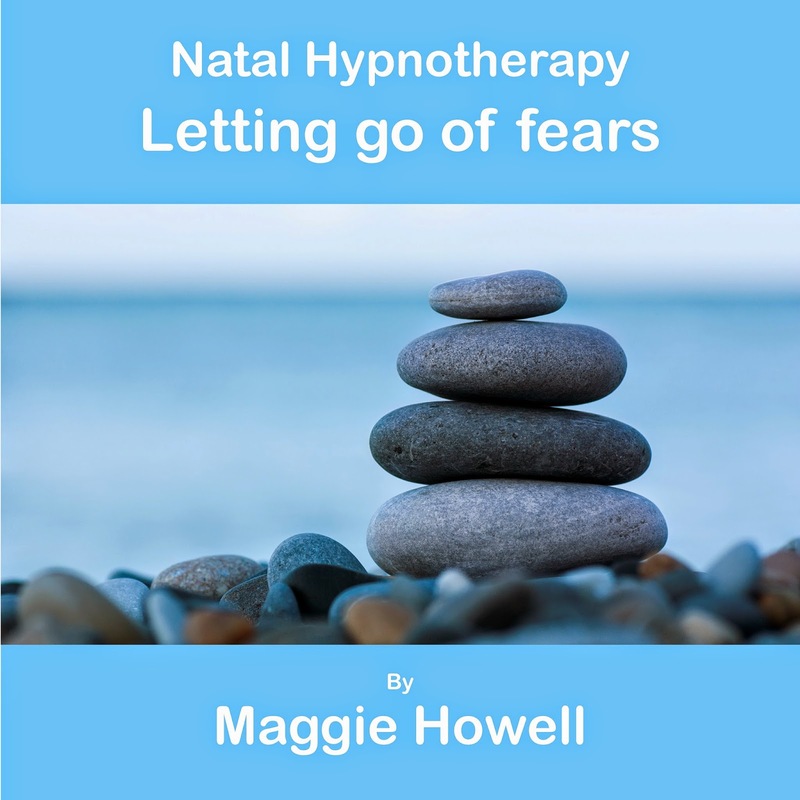 My new "letting go of fear" track helps women at any stage of pregnancy or birth. Your blog is very useful, I am truly to this blog which is specially design about the Release Fear of Birthing.